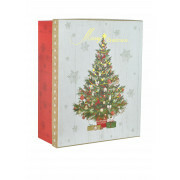 A large festive box that is ideal for keepsakes and gifts from Gifts and Craft. This rectangle shaped box has a red bottom with a white lid. 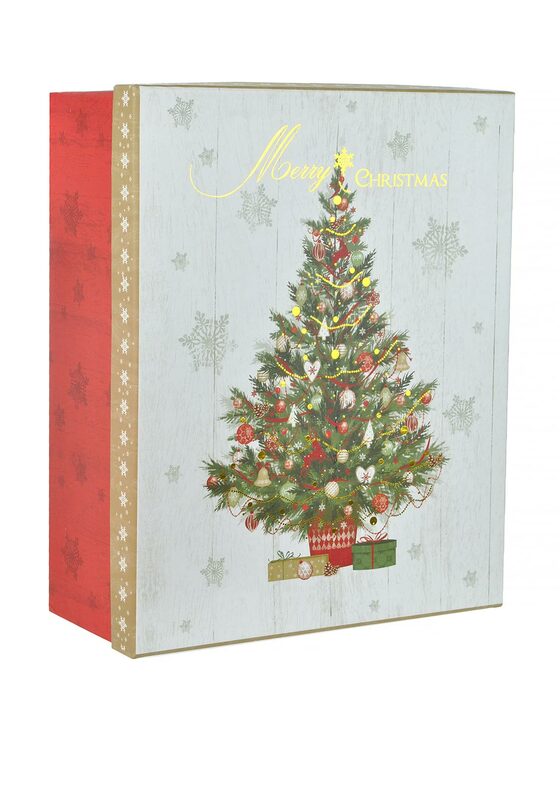 The lid is trimmed with gold and white snowflake print, the face of the lid has a stunning Christmas Tree that is covered with sparkling decoration and the wording ‘Merry Christmas’ is printed in gold.